Winter is such an important time to look after your skin. 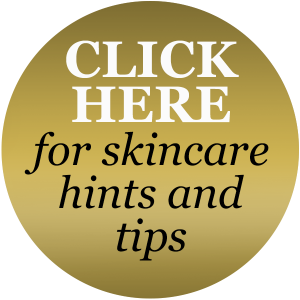 We have daily conversations with our clients on basic skincare routines…. with that in mind we decided to give you a little help with some hints and tips to keep you on the right path. These are basic steps and what you should be doing daily and weekly to get your skin glowing and working at its best. However if you have any specific concerns, why not book into salon for a skin consultation where you get advise on the correct products for your skin type and concerns. Cleanse- Where skin care begins, this step is purely to remove impurities & make-up. Double Cleanse – The second cleanse is to remove sweat, bacteria & old skin cells. Tone- Restores skins natural PH level, Products will penetrate & work more effectively. Moisturise – Food & water for your skin. A day cream is to protect & a Night cream is to restore. Once you feel confident you are doing steps 1 to 3 correctly, You can then add another skincare steps into your routine. Let’s remind ourselves of the need to exfoliate and the benefits. Exfoliation removes dead skin cells, meaning the skin will look brighter, feel softer and by doing so all of the other products applied will be able to release active ingredients into the skin as there is no “dead skin crust” blocking your entrance. This means better results from everything you use. Removing the old cells will encourage new cell growth and a healthy skin renewal process. Exfoliators are amongst the best natural anti-ageing skin products as you keep the skin regenerating in a more youthful way. You should limit your exfoliation to 2-3 times a week maximum – there is such a thing as too much exfoliation however gentle the product. Masks are a weekly or biweekly “treat” for the skin, boosting active ingredient levels or introducing new ones into the skin. If you want results quickly you’ll love using masks and serums regularly at home and masks and serums are of course, an important part of layering. If you are already using a cleanser, toner, exfoliator, skin treatment cream, and eye products, you are now ready to introduce new skin care items and boost the great results you are already getting from your face care products. The need for serums and masks is imperative to ensure the healthiest, strongest, most radiant skin ever. Serums are made to be very high in active ingredients and the texture is almost liquid in most cases thus giving a very small molecular structure – therefore the active ingredient molecules are able to penetrate the skin’s surface offering a high efficiency. Created to support, decongest and moisturise the delicate eye area without overloading it. The eye area is vulnerable & needs a specific eye cream. As you sleep, night cream recharges the skin by replenishing what it’s lost during the day. It works while you rest. English weather can be unpredictable at best and the trick to keeping your skin strong and healthy during the worst of the winter months is to keep it protected. In exactly the same way as you layer our clothes to keep your body protected, you need to layer our products to keep your skin protected. Rotating your skincare products, not only keeps your skin in its optimum health but it also stops the skin becoming lazy. Serums or concentrates should be used during the winter months to add energy and vitality to vulnerable skin. Serums usually contain higher active ingredients in a very low molecular structure, allowing quicker, better results than a cream alone. When used specific to skin type, they give the nutrients and energy to correct skin problems. Skin care treatment creams or moisturisers should correspond to the serum prescribed. Not only is more of the same message delivered as by the serum, but also they help to correct the skin’s surface of the diagnosed skin conditions. As a final layer, a good SPF should be added. A high factor will not only protect your face skin from the sun, it will also protect your skin from wind, rain and snow (skiers and dog walkers are particularly at risk ) and from free radical attack in polluted atmospheres.